Bestow (3). No attachments. Pillage. Silence's Crew gets +2 STR for each gold it has. 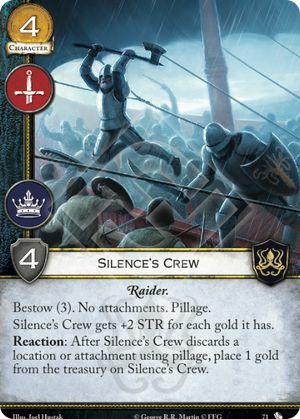 Reaction: After Silence's Crew discards a location or attachment using pillage, place 1 gold from the treasury on Silence's Crew.